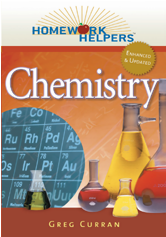 Homework Helpers: Chemistry is a user-friendly review book that will make every student or parent trying to help their child feel like he or she has a private Chemistry tutor. Concepts are explained in clear, easy-to-understand language, and problems are worked out with step-by-step methods that are easy to follow. Preface: Welcome to Homework Helpers: Chemistry!